LEARN TO SCUBA COURSE Atlantic Edge has been training divers for over 30 years! Are you ready to learn to be a fish? Sign up for our Learn to Scuba course to begin your dive into the underwater world, where adventure awaits. What does it take to get your Scuba Certification? The certification process consists of independent study, knowledge review, pool skill development, and four open-water training dives. You can complete the independent study requirements using the PADI eLearning program at your leisure. Estimated time to complete the independent study is 10-15 hours. The PADI eLearning program is included in our course fees. Your instructor will go over what you have learned through independent study, eLearning, and then give you a mini quiz. You'll then practice scuba skills in the pool. Knowledge review and skill development sessions take place at one of the many pool locations in DC, Maryland, and Virginia, and we teach every weekend from approximately 10am-5pm depending on location. See our schedule below. You will have to complete four instructor-supervised dives over two days. From May through October, you can complete your open-water training dives at a local quarry with Atlantic Edge. During the rest of the year, you can complete your training on a vacation or on one of our many group trips. Why Learn to Scuba with Atlantic Edge? All Equipment Included. NO purchase necessary for our Learn to Scuba class- We make sure you like scuba diving before you have to purchase any equipment. Just show up with your bathing suit, towel, and paperwork! Includes all material, eLearning fees, etc. 1 to 2 instructor to student ratio. This individualized attention is what allows us to offer a one day class that covers the classroom and pool portions of the certification. Classes are offered all year round, almost every weekend in different locations throughout the DC, Maryland, and Virginia area. Want more time in the water? Once you complete your first Learn to Dive class you can sign up for as many additional water sessions for 60 days as you like, to get comfortable, or to master any skill, for just $25 a session! 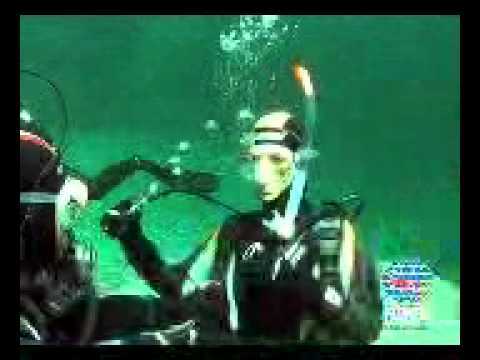 Over 30 years of experience training scuba divers! Official dive store for the National Aquarium. Atlantic Edge manages and staffs the Guest Dive Program for the National Aquarium. This means you can dive with us at the Aquarium once you're certified! We offer classes each weekend in several locations in the Baltimore, Washington, and Virginia area. Class times usually are from 10am to 5pm depending on the location. Check out locations and schedule below. If your plan is to complete your Open Water Training Dives locally, the dives are usually conducted at Hyde’s Quarry in Westminster, Maryland. Training dives take place on a Saturday and Sunday where you will complete two dives each day for a total of four open water dives. Cost of all four training dives is $249. 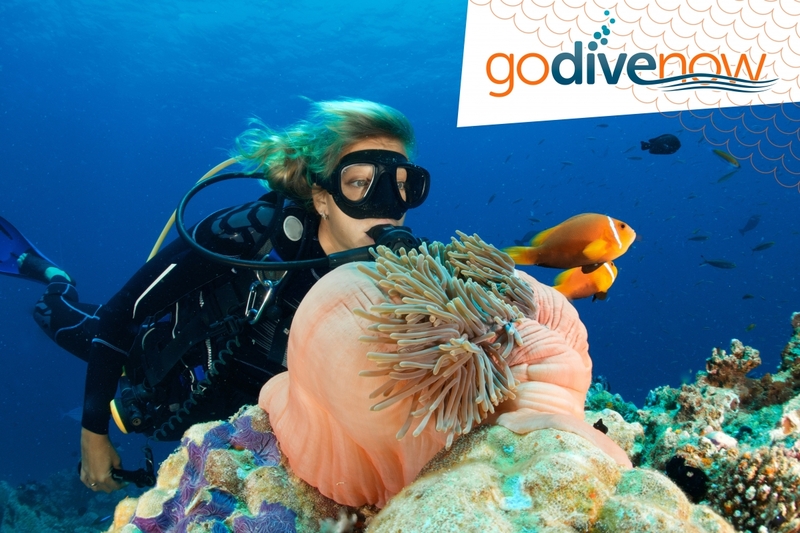 Check out information on training dives here. Are You Ready Now To Learn How To Scuba Dive? How to Sign Up! Just pick a date and location from our list below and we’ll email you a eLearning code and information during our normal business hours Monday through Saturday. Anyone who is in reasonably good health, and comfortable and relaxed in the water, can usually learn to dive without difficulty. Students need to be ten years of age or older by the start of the course. We also offer summer Scuba Camp programs for 10-15 year olds. You need to be able to answer "No" to all questions on the PADI/RSTC Medical History form, or secure a physician’s approval for diving prior to the start of the course. Swim 200 yards, no time limit, any stroke. Swim 300 yards with mask, snorkel, and fins. Once you complete these steps you are certified for life! It is then time to join us at the National Aquarium in Baltimore for the best local dive around, or on one of our many dive trips to an exotic destination. Learning to dive opens a world of opportunities most will only dream of. Imagine exploring a coral reef, discovering shipwrecks, taking under water photographs, and much more! Atlantic Edge conducts the class and pool skills in one day, but that does not mean everyone can complete it in one day, or may just wish to spend extra time in the pool to gain even more confidence and experience. We offer our students the opportunity to repeat the entire 4 hour pool session for $25 as many times as you need within 60 days of your class. That way, those that can complete the skills in one day are all set to go to the next step. Those that wish to practice some more can attend another session. Check out our testimonials. We want all of our students to be safe and confident divers.